There have never been more reasons for businesses to move to the cloud – have you taken advantage of what the cloud has to offer? Would you say the cloud is “new”? To some, this may seem like a question with an obvious answer, but it’s not that simple. Really, the way in which we think about technology can lead to something feeling new for a lot longer than would make sense otherwise. After all, the cloud is more than a decade old, but a lot of people still think of it as a new technology. For context, it was 2006 when Google and Amazon began using the term “cloud computing” – not necessarily the beginning of the cloud, but as good a point to choose as any. In that year, the iPhone was only halfway to its current number of generations. The Tesla Roadster was still two years from hitting the streets. Netflix was more than a year away from launching their now prolific streaming services. Does that put it in perspective? The Time Is Now – What Are The Top 10 Reasons To Move To The Cloud Today? Despite how long the cloud has been around, many businesses have still hesitated to actually get on board. Many of the upfront costs of implementing an on-premise IT environment are budgeted as Capital Expenses, which are invested upfront and only see a gradual return over time. 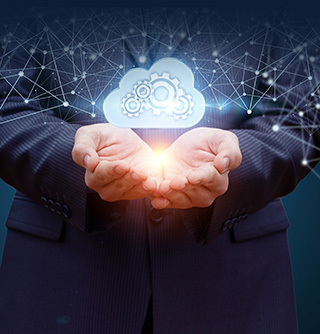 Comparatively, cloud solutions are an Operating Expense, which are much more easily budgeted because they gain a measurable return month by month as they pay for it, making for an undeniably effective Total Cost of Ownership. With your data in the cloud, you can access their work from home, on the go and even on vacation without having to drag your work PC around with you. Put simply – once you see how easy it is, you and your team members will get addicted to this kind of convenience. Whether you need to add a new employee or a new department, a cloud solution makes it easy to add resources — desktops, Line of Business apps, etc. — as needed to fit the changing needs of your business. Before the cloud, onsite servers were a must for any business that wanted to succeed, but no longer. Businesses today don’t need to purchase, install and maintain onsite servers because with a cloud solution they outsource them through the cloud to a data center instead. 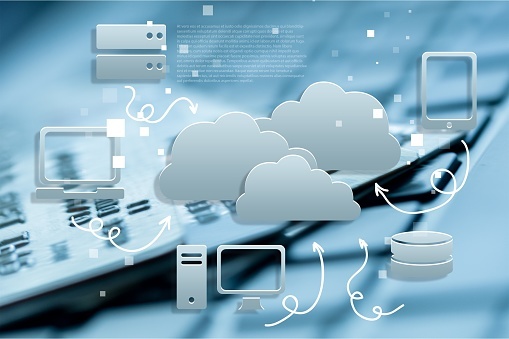 By choosing a cloud solution instead, you will enjoy all the benefits of an up to date and optimized IT infrastructure, without having to pay more than the monthly service fee. No longer does your staff have to spend their days dealing with faulty technology. Between the reliability of a cloud solution and the high-level support they receive from expert technicians, your staff will become a vital resource that can focus on their work. An ideal way for you to address the security risks that come with Bring Your Own Device (BYOD) is by implementing a cloud solution, giving you the freedom to use the device of your choice, while at the same time, allowing the IT team to maintain control over the corporate data that’s stored in the cloud.That way, the responsibility of data security is shifted from you to the IT provider. If a device is compromised, it’s easy to revoke access, remotely wipe data, and more in order to ensure the total security of your client’s data. Security can be difficult to manage because, as important as it is, it’s often just as expensive. However, with the right cloud solution, you are only paying a small monthly fee to gain access to enterprise-level security solutions offered to all other clients on the platform. It’s vital that you can continue operating no matter what happens. In the event of data loss, power outage or otherwise, your data can be easily replicated, and applications can be quickly spun up to ensure that downtime is kept to a minimum. By outsourcing your IT to the cloud, you pass off daily management of servers, applications, desktops, backups and more to a team of trained professionals. By moving all that hardware offsite, you eliminate the need to power it yourself. Furthermore, the cloud service provider taking care of it offsite will have the resources and expertise needed to power everything efficiently and keep costs low. It may still feel like a newer technology, but it’s really not. The industry has spent years ironing out the kinks for cloud solutions – there’s never been a better time to get on board. Allow Nexus IT Consultants to help smooth the transition. We’re able to offer a range of powerful cloud solutions backed by hard-earned expertise. Like this article? Check out Nexus IT Consultants Celebrates 20 Years Serving Organizations In Salt Lake, Park City, and Provo Utah, 5 Reasons Why Salt Lake Law Firms Need Managed IT Services or What’s So Important About My Out-of-Office Message? to learn more.